Let’s get a little deeper with 5 more tips for your tattoo day. These tips might even be more important then the first 5 we listed in our previous post “5 Tips For Your Tattoo Day | Part One”. We do accept credit and bank cards but we definitely love when you bring cash! 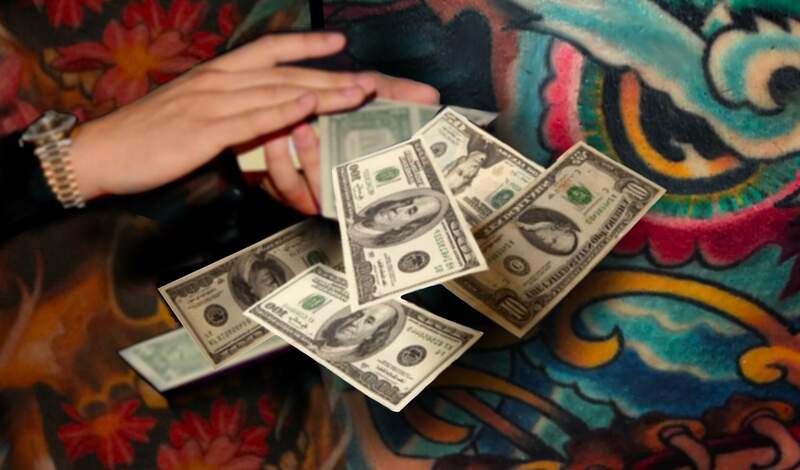 Credit card fees can be up to 5% of each tattoo. Simple math shows the “man” taking money away from the little guy. So we ❤ cash the most. Especially for our tips but don’t worry we always except credit cards too! Sometimes our day is planned out down to the last second. So being on time is very important. The later you are, the less we can tattoo you. On the flip side, there is definitely no need to be early. Our morning is filled with prep work including making sure we’ve had our breakfast and plenty of coffee. We usually need every last second before your appointment starts. In some cases we might be down to start sooner so if you’re running “early” give us a shout first. Otherwise you will be stuck in our lobby just waiting. Ladies this might not apply to you as much. As for all you Sasquatch mother truckers out there please be kind and lightly trim it down a notch. A light beard trim will be just fine. 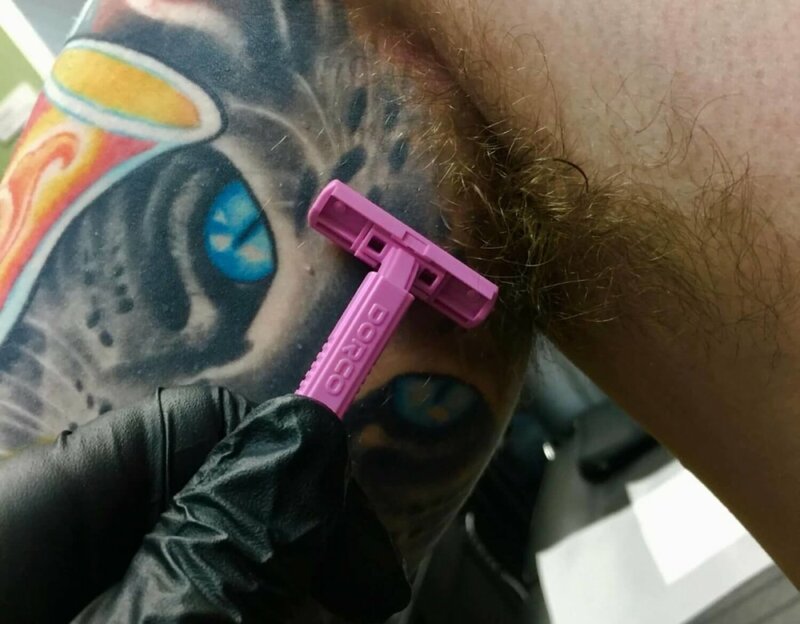 It’s never that big of deal shaving a little tattoo area for us but when it comes to full sleeves, back pieces and especially chest tattoos, we could use some extra help removing the bulk of the fur. We know it’s San Diego and we love our town just as much as you do. Whether you are on vacation or just enjoying the beautiful city we live in, please keep your skin out of the sun before you get tattooed. If you show up with red or sunburned skin there is no way we can tattoo you, Thus you will lose your deposit and we will lose a day of work. “And we think everyone will be just sad 😞” So for the longevity of your skin and respect to the soon-to-be tattooed area on your body, please no sun before your tattoo. As tattoo artists we connect to you as we tattoo and talk through our sessions. We get to know each other through our stories, our jokes, our tragedies and our accomplishments. Getting tattooed is definitely a form of therapy and a connection is made throughout the tattoo. We are usually comfortable with you having a friend or loved one sitting by your side for support. But please make sure they are worthy of your tattoo journey. Make sure they don’t take away from your potential experience by talking drama or monopolizing your tattoo time. We love all of our Bearcat friends and clients and we definitely know when a weird energy is amiss. So remember that it’s “your day” not theirs. Bonus tip. Don’t forget your ID and if you’re stopping for coffee we want one too! 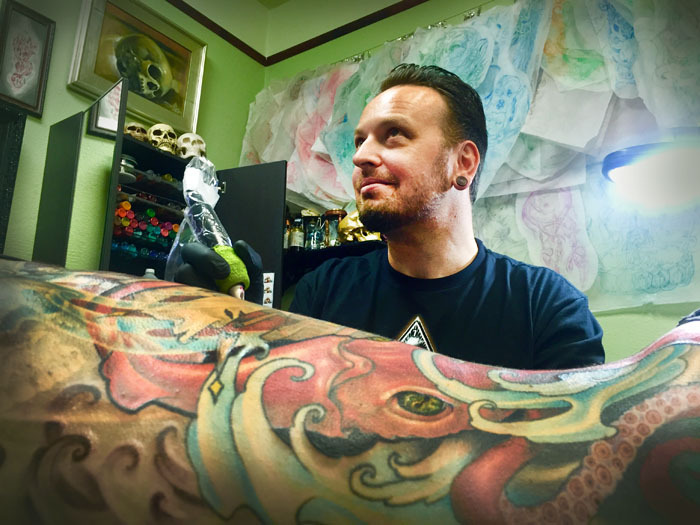 Make sure to check out our other blog “5 Tips For Your Tattoo Day | Part One”.